Last weekend, two of our practitioners, Daniella (Osteopath) and Shanee (physiotherapist), were lucky enough to attend this conference, discussing all the latest research into hamstring injury, reducing risk of injury, and management. It was a really interesting day, and so we thought we would share some of the key points with you all. 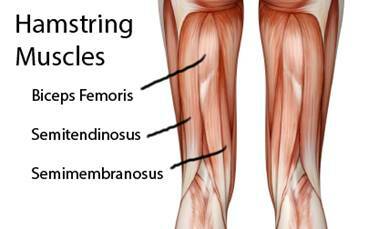 Hamstring is made up of 3 muscles: semimebranosis, semtendinosis, and the biceps femoris. The hamstring crosses two joints, the hip and the knee. Very hard to predict who will injure based on screening tests, as there are so many factors at play. There is no best exercise to prevent or rehabilitate this injury. Exercise needs to be based on what the athlete can tolerate, and every rehab program needs to be individualised. Exercise programs should be progressed on tolerance to the exercise (eg pain less than 4/10 on performing the exercise). There are some instances where surgery is indicated, i.e in acute avulsions. Surgery tends to be used more in the elite sporting population. There is little evidence to support the use of injection therapies (eg PRP, Actovegin, Cortisone). With the right exercise program we can reduce the risk of re-injury, but we can’t eliminate the possibility of re-injury. These were some of the take home messages from the day. There is currently a lot more research being done in this field, as there are still so many unknowns. We look forward to learning more and sharing this with you once we do.